Political commentary has reached the mobile applications market. Now there is even an app to poke fun at a Presidential Candidate. 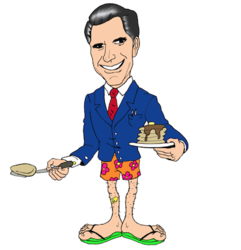 Just released is the first application, Flip-Flop Mitt by William Hammer that can best be described as political satire. I’m betting that, no journalist, no blogger, no newshound, no matter how well versed on politics and Mitt Romney’s positions will be able to play this game and get all the answers correct on their first try. 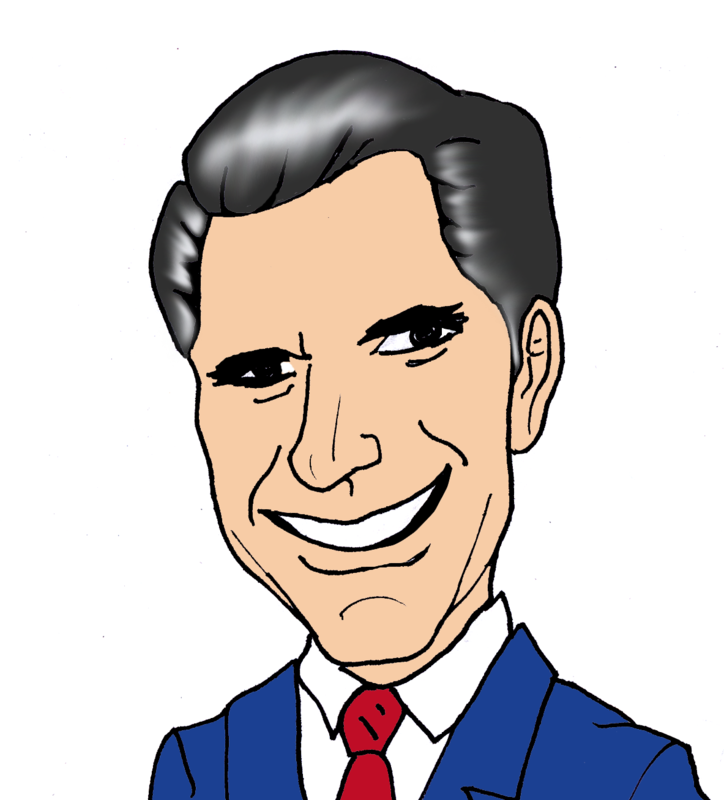 The purpose of the game is to test the player’s knowledge about Presidential Candidate Mitt Romney’s position on several important issues. The goal for the player is to answer every question correctly. 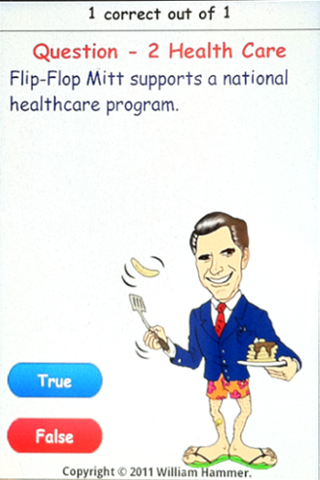 The player has an option to guess true or false on eight statements about Romney’s stance on Gun Control, National Health Care, Taxes, Immigration, Agriculture, Social Security, and even Flip Flopping. For example, the question on Gun Control is: “Flip-Flop Mitt supports the 2nd Amendment and the right of individuals to own and bear firearms.” The statement on Taxations is: “Flip-Flop Mitt is opposed to any tax increases on hard-working Americans. The player can choose true or false in response to each statement. The application can be downloaded at the Android Market. After the player picks true or false on each statement, Flip-Flop Mitt reveals the correct answer. Some of the answers will surprise even the most astute political commentators. In fact, in a limited sample testing, the average score was three correct out of eight questions. “That itself says something significant about the candidate,” said one of the focus group testers. In addition to challenging the player’s knowledge of the candidate, the application is also able to make some interesting predictions about the player, based on how he or she answers the questions. William Hammer, a marketing consultant, created the app for, in his own words, “the fun of it” and as a way to learn application development. “We have political commentary in every form of media, so why not in the mobile applications arena?” asked Hammer, from his home office in Greensboro. “This is essentially a political cartoon in app form,” he said.